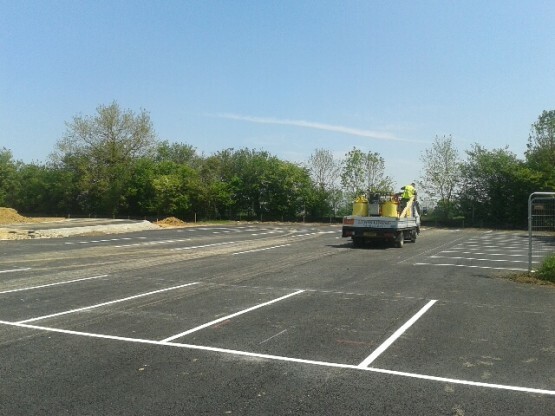 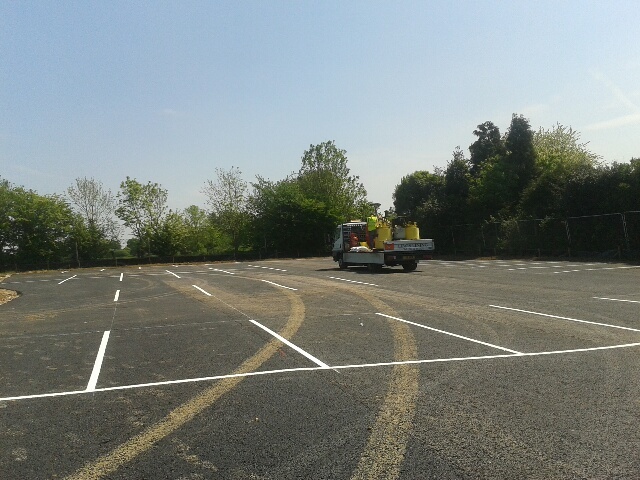 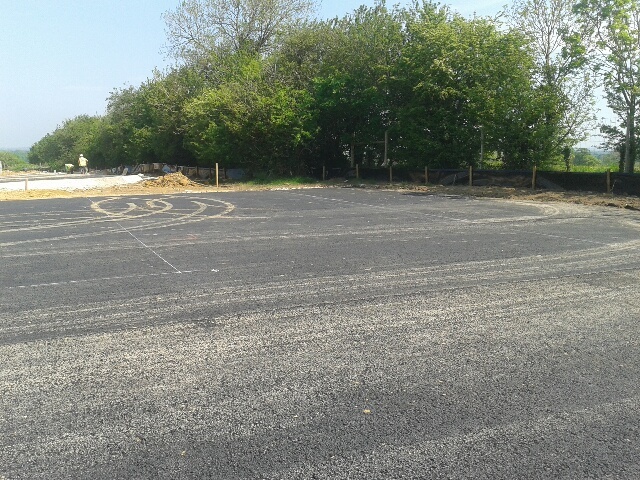 Parking Bay markings applied to a temporary tarmac surface. 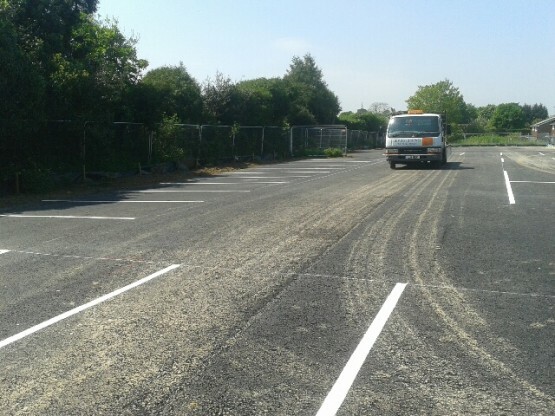 Bays marked in white thermoplastic material. 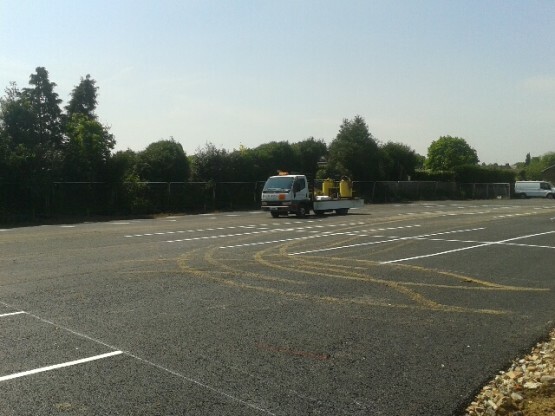 Client wanted the maximum number of parking bays to be marked in the space available. 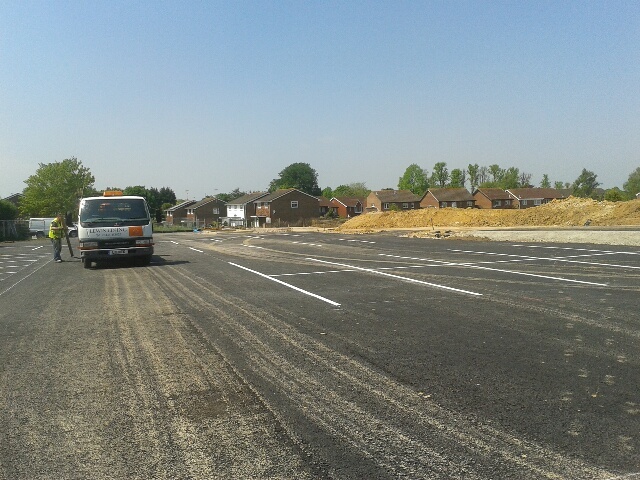 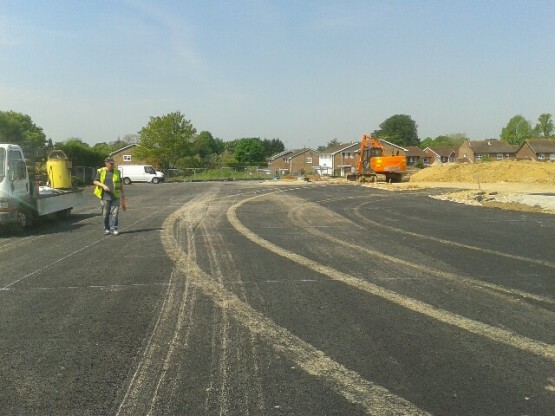 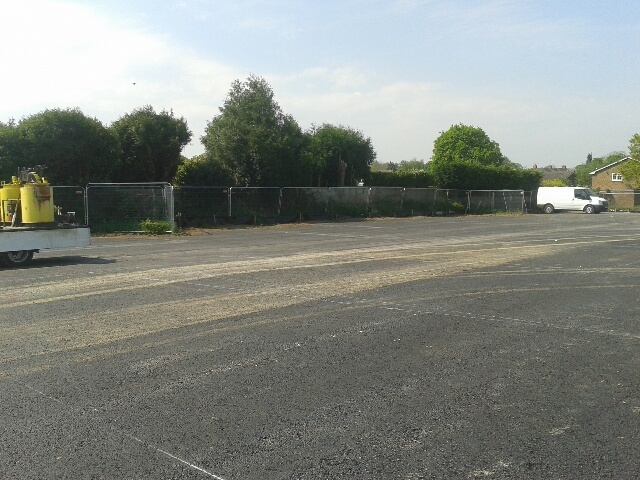 41 x parking bays were completed.